Princeton University is an American private Ivy League research university. It is located in Princeton, New Jersey. Princeton belongs to a specific designation of universities called the Ivy League. It provides undergraduate and graduate programs in Humanities, Social Sciences, Natural Sciences and Engineering. Princeton was founded in 1746 in Elizabeth, New Jersey, as the College of New Jersey. It was renamed Princeton University over a hundred years after it moved to Princeton in 1896. 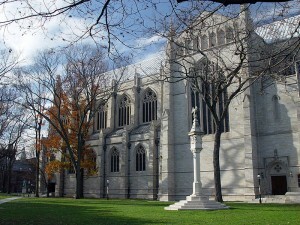 Although Princeton had very close ties to the Presbyterian Church, it has never been affiliated with any specific denomination. Undergraduates must fulfill general education requirements. There are a wide variety of electives for undergraduates to chose from. There are also interdisciplinary certificate programs available for students. Students graduate with either the Bachelor of Arts or the Bachelor of Science in Engineering. The graduate school allows students to study many popular designations such as Humanities at a more advanced level. Doctoral degrees are available in all disciplines. Princeton does not offer schools of Medicine, Law, Divinity, or Business. It does however offer professional degrees through the Woodrow Wilson School of Public and International Affairs, the Princeton University School of Engineering and Applied Science and the School of Architecture. Princeton’s undergraduate program is highly selective, admitting fewer than 8% of those who applied for undergraduate programs in 2011-2012. In 2001, Princeton became the first university to eliminate loans for all students who qualify for financial aid. Students who graduate from Princeton have very little debt because of this policy. Princeton has decided to implement a grade deflation policy in order to curb the number of A-range grades received. Many students believe that this grade deflation may hurt them coming into the work place, so it is still undergoing additional changes. The main campus sits on approximately 500 acres, which is split between two municipalities. 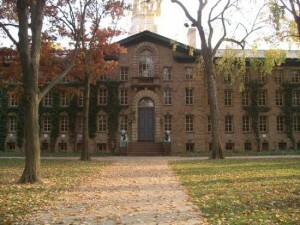 Nassau Hall was the first building on the Princeton University campus, being constructed in 1756. There are beautiful historic sculptures throughout the campus by very notable artists including Pablo Picasso. There are many different residents available to undergraduate and graduate students with over 98% of students living on campus. Residence is guaranteed for students for their whole four years that they are enrolled. Princeton has six undergraduate residential colleges, each of which house approximately 500 freshmen, sophomores, juniors and seniors, and resident advisers. At the school you will find dormitories, dining halls, games rooms and more. The school also boasts such amenities as the McCarter Theatre, the Princeton University Art Museum and the Princeton University Chapel. Princeton University offers a wide variety of social events and activities, guest speakers, and trips for students to enjoy and partake in. Princeton hosts two Model United Nations conferences. Princeton also has an Invitational Speech and Debate tournement. Students also partake in fine dining on the campus which also serves as a place for socializing. The library and research labs allow the students to work independently and in groups. There are also many school traditions that students partake in including but not limited to Ivy Stones, P-rade and lawn parties. 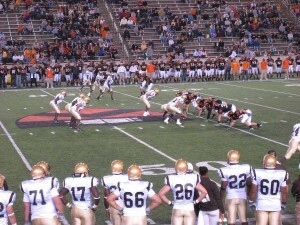 Princeton University has organized sports at three recognized levels. These levels include varsity intercollegiate, club intercollegiate, and intramural. The school also provides a wide variety of athletic programs for students, with most students participating in sports at least at some level. 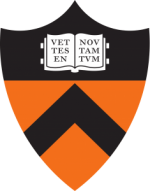 Princeton University’s colors are orange and black. The mascot is a tiger and the student athletes are also referred to as Tigers. The school’s song played at many big events including sports games in the Princeton Cannon Song. There are many notable alumni hailing from Princeton University. Alumni include the Current first Lady of the United States Michelle Obama, and Founder and CEO of Amazon Jeff Bezos.